Emergency food kits have become the mainstream course for dining your way through dark times. The trend goes hand-in-hand with your average prepper losing his tag-along stigma of a secluded radical with a knife between his teeth, camo-ed head-to-toe and shacked up in a bunker somewhere. Wider disaster awareness (whether geopolitical, economic or natural) couldn’t come at a better time. Just a quick glance at our “disaster count” brings to light a “year of earthquakes” behind us, accompanied by two major floods, a blizzard that took 55 lives, countless terrorist attacks, and that’s just naming a few. This emergency food kits review is tasked with getting your food supply up and running the right way – by dishing out the most relevant of facts. Luck indeed favors a well-prepared mind and not facing calamities on an empty stomach is as prepared as one can get. The exhibited items “thrashed” the competition in almost all the criteria. This ensures only the cream of the crop reached the final version of this emergency food kits review. Wise Company’s emergency bucket is a sight for sore eyes, whatever the scourge lurking around the corner might be. 60 servings can bolster one person for a full month or four people for a week. Preparation follows the usual “the-simpler-the-better” approach and only requires you to add some lukewarm water into the premade mix. The water doesn’t have to come to a boil, but you can go that route as well, especially if you prefer “blazing” meals. As far as the contents go, everyone’s taste will be met to a certain extent. Just because a hurricane is raging outside doesn’t mean asparagus suddenly grew on us, now does it? Further inspection within the bucket uncovers cheesy macaroni, tomato & basil soup, beans and rice, potato casserole and pot pie, teriyaki & rice, tortilla soup, pasta Alfredo and creamy pasta, classic chicken noodle soup, savory Stroganoff, and chili mac. Everything comes in 4-portion iterations, except for creamy pasta and Stroganoff, featured in 8. This is a real “Jack-of-all-trades” among emergency kits. 307 servings really seem like a heck of a lot, but it’s a marketing strategy only aiming to bedazzle with big numbers. When it’s all said and done, there’s a 1-month supply of high-quality food in there. Having said that, the calorie count of this emergency food kit is through the roof. Just to avoid confusion, pail (written on their site) is a synonym for bucket, not some new, revolutionary storing container. The bucket is easily transportable, thanks to the handles, and should be stored in a dark, dry, and cool place for optimal shelf life. The meals are standard just-add-water production. They really taste amazing. Every single emergency survival kit comes with its nutritive and ingredient sheet on their website. You can see literally everything there, from ingredients used in every pouch to the level of riboflavin in every meal. The kit features too many dishes to number, but let’s mention banana chips, Morning Moo’s alternative for milk (low fat), brown sugar maple oatmeal, cheese powder, and elbow macaroni, among others. 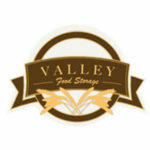 Valley Food Storage is no stranger to real preppers and outdoor enthusiasts. The company’s pretty famous when it comes to shelf life and all of their products are completely GMO, MSG, and gluten-free. Mylar bags are just the icing on the cake. They enable the prolonged shelf life, are less likely to break the vacuum seal and are resealable once opened. Not to mention the nitrogen flush, which has simply become a superior way of preserving food for the long run. The Entree Bucket doesn’t feature any food fillers, so what you order is exactly what you get. Regarding contents, you’ll enjoy chicken Teriyaki, chicken pilaf, Irish pub soup, mango Habanero chili, pasta Primavera, and baked potato soup. They each come with 10 servings, which all adds up to a month of food for one person or one week for four people. The usual measurement for a person’s daily sustenance is two portions, so the math is pretty clear. Right off the bat, Honeyville’s emergency food kits, or “combos,” as they call them for effect, are definitely “Santa’s little money savers.” Once you do the math, it becomes obvious that buying separate cans amounts to more money. Only the top-shelf (pun intended) products are “combofied,” so you know you’ll get the best-selling stuff. 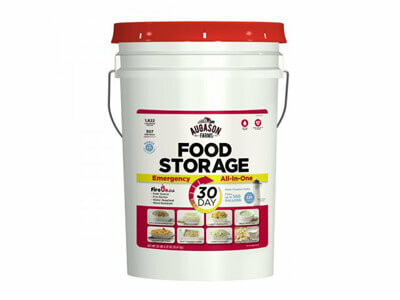 It’s a more convenient way of filling in the gaps in your emergency supply. Honeyville was kind enough to remind us of potential allergens used in the meals. They enumerated eggs, soy, milk, and wheat. As far as the actual dishes are concerned, we have meat sauce rotini, fettuccine Alfredo, pasta with beef, and chicken fettuccine Alfredo. According to user feedback, the food tastes really good and numerous buyers reported that they’re really generous on the sauces. The thing we didn’t like seeing was the discrepancy between the overall weight in the specification and product description. One says 8 pounds, the other 13, which makes for a pretty big difference in a survival situation. 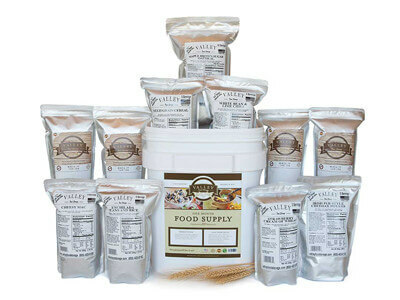 As already mentioned, this emergency food kits review “took” upon itself the task of uncovering the top options for muscling through the rough patches. 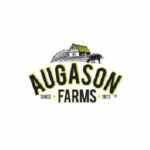 High-quality packaging will keep the food fresh and tasty anywhere between 10 and 30 years. Talking about a long-term investment. This is helped by the fact that all of the food is freeze-dried rather than frozen the “regular” way. Besides extending the validity, this method also keeps all the essential nutrients and enzymes from being lost. The foods more prone to perishing are sealed via nitrogen flush instead of just vacuuming the air out. The choices of meals offered are truly a far cry from “survival foods” back in the day. 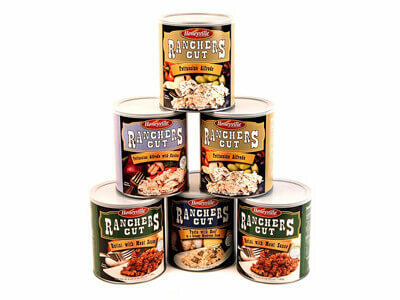 You will be happy to find all of your favorite dishes available, dehydrated and ready to prepare. 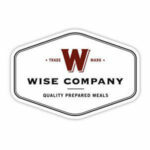 All of the companies mentioned employ an M.R.E approach, which means the dishes are ready to eat by simply adding the prescribed amounts of water. The future is really here. It doesn’t even need to be boiling water, just add it lukewarm and save extra time to focus on fighting the good battle. 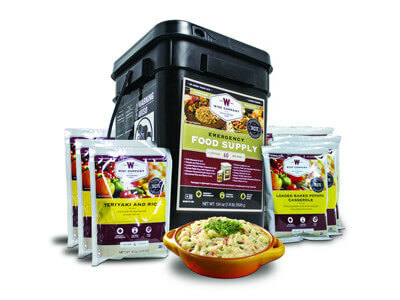 Most emergency food kits come in stackable and relatively lightweight buckets, so they won’t take up too much of your bunker, basement or any other form of bug out shelter. Pretty much all of them feature grab & go handles, which makes transport a lot easier if you need to run on a short notice. The taste of the food is phenomenal and leaves little to be desired for.